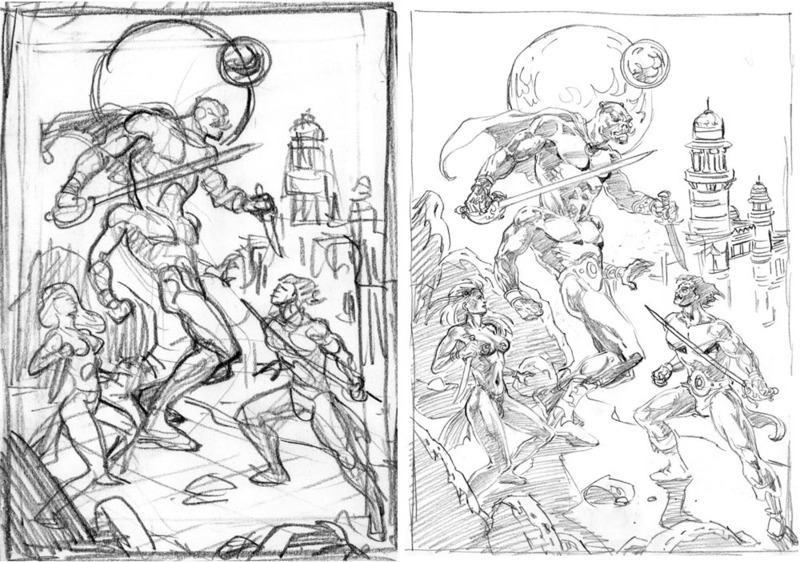 Okay, the long ago promised John Carter of Mars art and coloring experiment is finally making some progress. Things have been slowed down due to (A: Lack of talent, and (B: Lack of time. 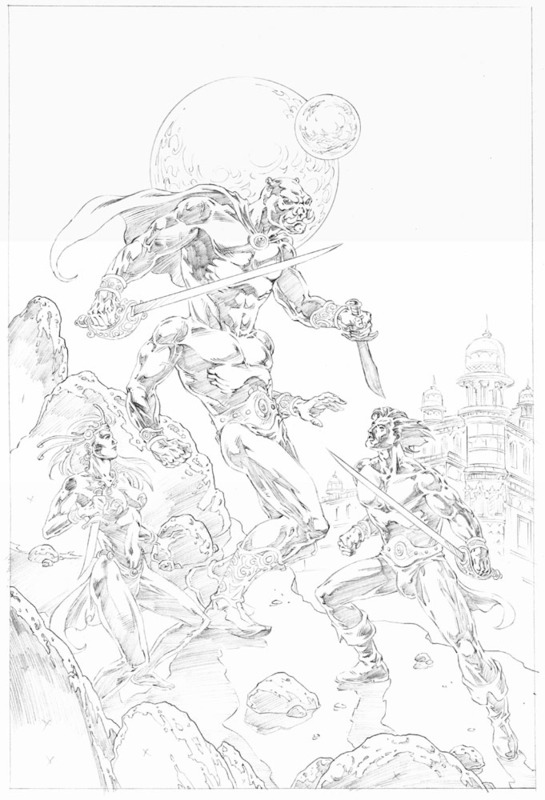 My first two efforts to create a decent John Carter drawing fell remarkably short of the mark. Clunky compositions, weak black spotting, questionable anatomy, the whole nine yards. However, after hunkering down and making a third effort, I have something decent to work with. Not great, but at least decent. 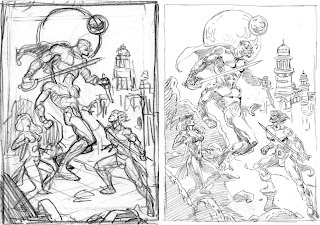 Here's the thumbnail, rough, and (almost) final pencils for the drawing. I'm not completely happy with the perspective on the city in the distance, so I will be tweaking that before going to the inking phase. 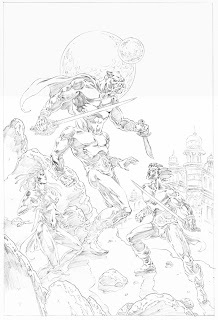 When the inks are done I will post them before going to color.